I got to play with some new goodies tonight and entering some new challenges, too! I used Stampin' Up's Maritime pattern paper & Costal Cabana thick twine, My Favorite Things Sea Life stamps/dies and the sentiment is from Paper Smooches. What a sweet card !?! I love the pattern papers you combined and those cork starfishes are so sweet. Lovely card ! This is just too darn cute! I love your sweet fish and the cork starfish, so fun. Oh those navy fish are darling! 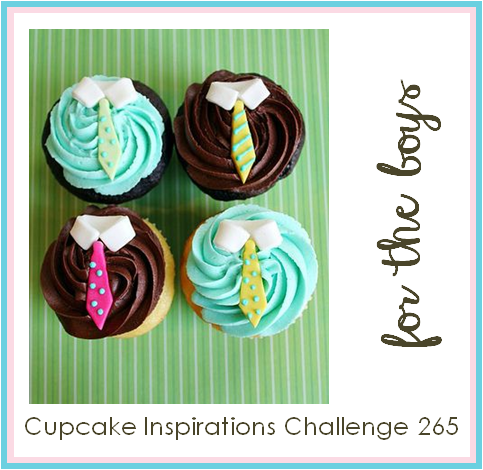 Thanks so much for sharing at Cupcake Inspirations! Great job combining the 2 challenges! Kathy... Your card is absolutely DARLING! I love how you've used the card sketch along with the little fishes. 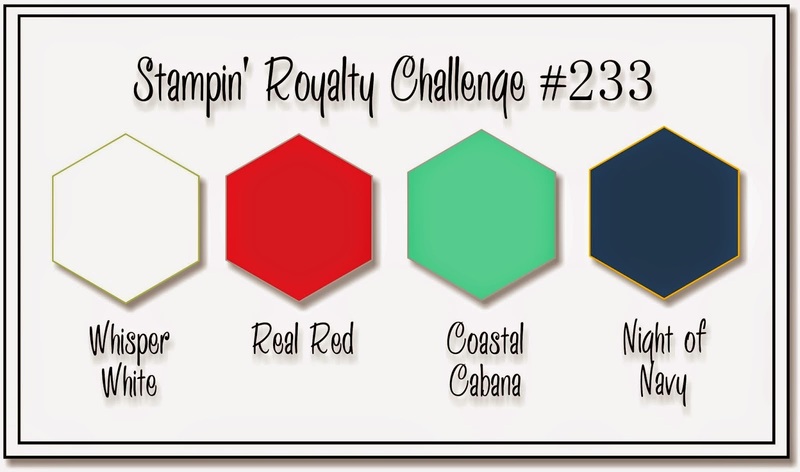 Beautiful color combination from the Color Challenge. 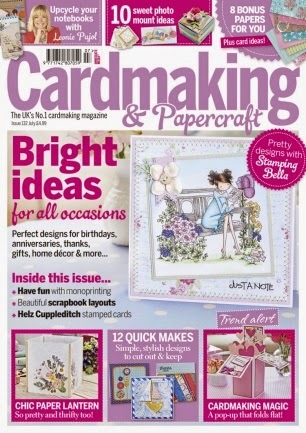 Thanks so much for playing along with the Paper Craft Crew and we hope to see more of your creations. 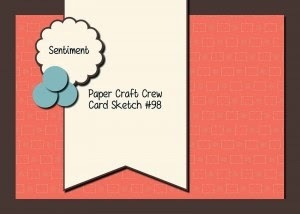 Also, you have been selected to be one of our Featured Artisans as we feature your card creation for Card Sketch #98. You can visit our blog to grab the Featured Artisan Badge for your blog.